Senate Republicans quietly unveiled their tax proposal Thursday, with President Trump urging Congress to pass a bill before Thanksgiving. 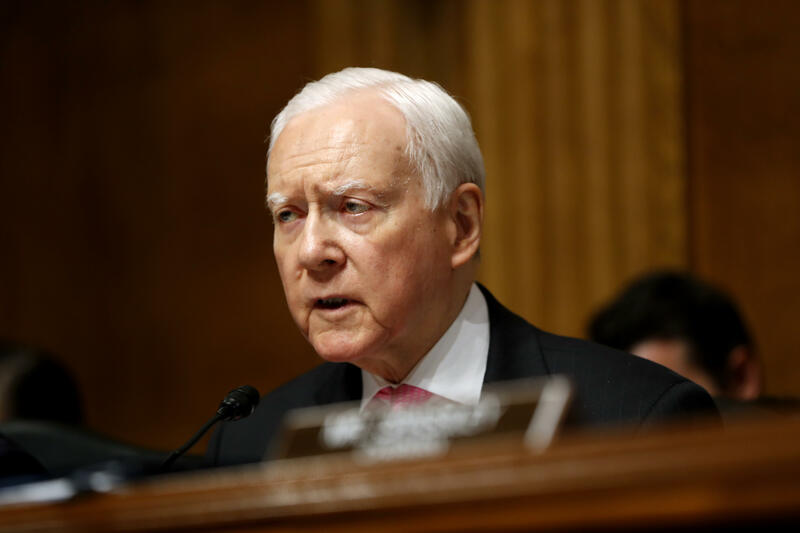 The Senate Finance Committee, forgoing a major press conference to reveal the bill, released a summary of the Tax Cuts and Jobs Act as the House Ways and Means Committee passed its version of the bill out of committee in a 24-16 vote. The Senate proposal keeps many of the same tenets as the House proposal, with some key differences. The Senate version protects the deduction for medical expenses, while the House version eliminates that deduction, and the Senate proposal delays the lowering of the corporate tax rate until 2019. The House proposal gradually lowers the corporate tax rate, from 35 percent to 20 percent, by 2022. The White House said Mr. Trump, "applauds the Senate Finance Committee for introducing their companion to the Tax Cuts and Jobs Act, which is another important step toward providing historic tax relief for the American people." The four-day-long House markup hearings have resulted in defeat for all of Democrats' proposed amendments, such as an amendment that would have kept the estate tax as-is. House Ways and Means Chairman Rep. Kevin Brady, R—Texas, offered a last-minute amendment on Thursday to ensure the bill doesn't add more than $1.5 trillion go the deficit. He also offered an amendment to preserve the child tax credit, as the original version of the legislation would eliminate it. The House votes on the bill next week. House Speaker Paul Ryan, R-Wisconsin, has established a Thanksgiving deadline for the floor vote in the House. "Today, we took yet another critical step toward delivering real relief to the American people," Ryan said upon the passage of the House version out of committee. "I want to thank Chairman Brady and the Ways and Means Committee for making important improvements to this historic legislation. After listening to our members, the committee preserved the adoption tax credit for middle-income families, and increased targeted relief for Main Street small businesses and startups. This bill will cut taxes for a typical household by $1,182, raise take-home pay by upwards of $4,000, and create nearly one million full-time jobs. It is exactly the type of tax cut and job growth our country needs to get back on track, and I look forward to a robust debate on the House floor." House Democratic Leader Nancy Pelosi, D-California, decried both plans as a scam. "At every stage, the GOP tax scam grows more generous for multi-national corporations and more destructive toward American workers and middle class families," Pelosi said in a statement. "The Senate bill confirms it: Washington Republicans are dead-set on raising taxes on middle class families to give tax breaks to the wealthiest one percent and corporations shipping American jobs overseas." "Republicans are about to tattoo their most vulnerable, suburban Members with a huge middle class tax hike," Pelosi continued. "Every House Republican who votes for the GOP tax scam next week is voting to completely destroy the state and local tax deduction, and raise taxes on their own constituents. It turns out that deficit hawks are extinct in the Republican Party. Now, Speaker Ryan is going to drive suburban Republicans into extinction too." Here are some key ways the Senate GOP bill differs from the House's legislation so far. The Senate legislation still needs to be marked up, meaning members will have a chance to offer and vote on amendments. The Senate proposal has seven rates for individual incomes taxes — 10 percent, 12 percent, 22.5 percent, 25 percent, 32.5 percent, 35 percent and 38.5 percent, which more rates than the House plan. The House plan proposes rates of 39.6 percent, 35 percent, 25 percent and 12 percent. The Senate outline does not yet attach income levels to those rates. The current top tax rate is 39.6 percent. The Senate plan, like the House plan, repeals the state and local tax deduction. That move has drawn criticism from members of Congress in high-tax states like New Jersey, California and New York. A number of House GOP members have already said they will not vote for the bill, largely because of this provision. The Senate version of the bill, unlike the House bill, preserves the deduction for medical expenses — a key deduction for many taxpayers, particularly seniors. The Senate version would cap deductions for property taxes at $10,000 — an unpopular provision in states like California and New Jersey with expensive property values. The House bill also caps deductions for property taxes at $10,000 per year. The Senate plan has a one-year delay for beginning to implement the lowering of corporate taxes. It does "permanently" lower corporate taxes, according to the Senate GOP outline. The House plan would begin gradually lowering the corporate tax rate in 2018. Both the House and Senate aim to eventually lower the corporate tax rate from 35 percent to 20 percent. The Senate version preserves the adoption tax credit. The latest version of the House proposal, thanks to an amendment from Brady, restores the adoption tax credit, after much protest from conservative and pro-life groups. Whether the Senate version would eliminate the individual mandate, said Sen. Bob Corker, R-Tennessee, is "under discussion." The House GOP has also discussed the possibility. The Senate proposal doubles the current exemption for the so-called "death tax," while the House eventually repeals the tax entirely. The Senate legislation, like the House legislation, increases the child tax credit. The House's bill would increase the credit from $1,000 per child to $1,600, while the Senate version would increase it to $1,650. The Senate plan at this time, like the House plan, makes no changes to 401(k) accounts.